This is cocktail that I came up with for the opening menu at Polite Provisions. When I look at the drink in retrospect, I like to tell people that I came up with the idea by trying to emulate the flavors of a vanilla mocha. Meaning I combined the flavors of vanilla and chocolate, with the charred oak of the bourbon playing the role of roasted beans. Not surprisingly, with that flavor combination, the drink went on to become extremely popular at the bar. What I don't generally talk about as much, is how the drink was a complete accident which I never intended to make on purpose. In fact, I actually thought that I was reaching for the Marie Brizard Orange Curacao, as I was hoping to do more of a orange/whiskey/vanilla style drink. However, the Marie Brizard Orange Curacao and White Creme de Cacao look identical, so when I grabbed the wrong bottle, I didn't notice until it was time to taste it. As to how the version with Orange Curacao came out, I wouldn't know. I never got around to trying it. Vanilla Syrup: Place 1 liter of white sugar into a large bowl or pitcher. Split & quarter 20 vanilla beans and add to the sugar. Pour 1 liter of BOILING HOT water over sugar and vanilla beans. Stir well & allow to sit for one hour. Strain and put in a container, label date and put in the walk in. This is a cocktail that utilizes fat-washing and sous vide in its creation, so if you are looking for some fun new techniques to add to your cocktail arsenal, than this drink is just for you. 1. Seal and then sous vide the mixture at 135F for 2 hrs. 2. Cool it in the freezer. 3. Once the fat is solidified strain out sesame oil with a cheesecloth. When it comes to delicious cocktails that never seem to get the credit they deserve, the Surfer on Acid is one of those drinks that has be damn near the top. When you look at the build of the drink it is genius in its approach and although, it was created in the early 1990s by Eric Tecosky (founder of Dirty Sue,) it bears many of the characteristics of the craft cocktail movement that would not take a hold of the country for almost another 20 years. It is tropical, if not nouveau-tiki, in many ways with its combination of coconut, rum, pineapple and amaro. And if not for its unfortunate, and largely undeserved stigma, the drink would look right at home on the menus of today's top cocktail bars. With its mixture of island fruit and amaro, it can be as complex and intricate as any drink you could hope to encounter online or in a bar. Although, the original version of the drink consisted of coconut-flavored Rum, Jagermeister & Pineapple Juice, when recreating the drink today, I tweak the formula ever so slightly, while still remaining true to the drink. Whereas, the version from the nineties was primarily served as a shooter, we moved this version to pebble ice or blended, to make it more of a sipper. In lieu of the coconut flavored rum, we subbed a little bit of White Rum and Coconut Cream, and while the drink works wonderfully with the original Jagermeister, switching up the amaro can lead to all kinds of cool variations and possibilities. 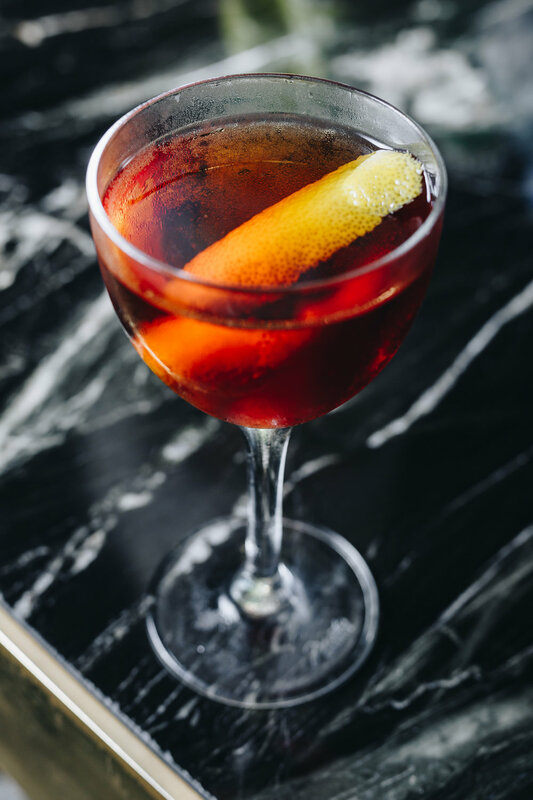 I generally lean towards Averna when making it, but have had delicious versions with pretty much any amaro that you can think of. In addition, I hit with just a bit of lime juice to brighten the drink the up and give it some vibrancy. In effect the result is largely a Piña Colada with a healthy dose of amaro, but if you really think about it, that is what the original flavor profile was as well, except in the form of a shooter. Here is the recipe for you below & feel free to click here if you would like a little more info on the drink's history. * I used Coco Lopez, but feel free to use whatever brand you like. Homemade is even better if you have the time to whip up a batch. Most everyone that is familiar with my approach to cocktails knows that I always look to the classics when I am looking for inspiration to creating new drinks. Pretty much, every single time I try a new ingredients or liqueur, without even thinking my brain automatically begins to shuffle through templates in which I think I could build off of. While I know that sparkling rosé is by no means a new ingredient, when I was working on new drinks for the Polite Provisions menu a couple of years back, I realized that I had never created a drink using it as an ingredient. When I tasted the sparkling rosé on its own for inspiration, I was immediately taken by the scent of wild berries & vanilla, and just knew that I had to somehow make a variation on my favorite sparkling cocktail, the French 75. 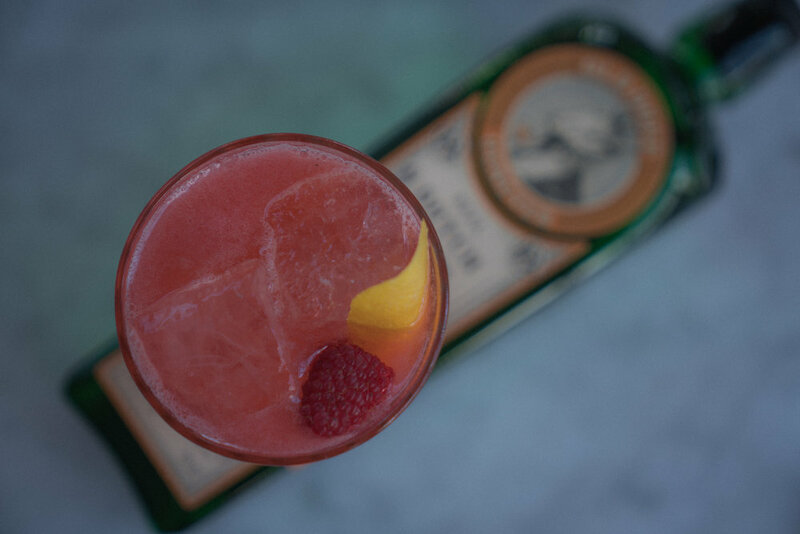 Knowing that rum is often rich with deep vanilla, I instinctively reached for a nice white rum and our house raspberry syrup to bring out the fruit in the rosé. While that first draft of the drink was great, I found that it was missing just a little something. That little something missing ended up being a couple of dashes of bitters, as is often the case. METHOD: Shake & Strain. Top w/ 1.5oz Sparkling Rosé. Genever was one of the most important spirits in the early days of the craft cocktail, so its nice to see it coming back to the forefront of the bar world. We recently got our hands on a bottle of Old Duff Genever, an authentic Dutch Genever, and decided to make one of our favorite cocktails. It adds the vibrant notes of fruit and rich herbal to the natural malty character of beautifully made Genever. *I obviously used Old Duff Genever, but feel free to use whichever brand suits you. 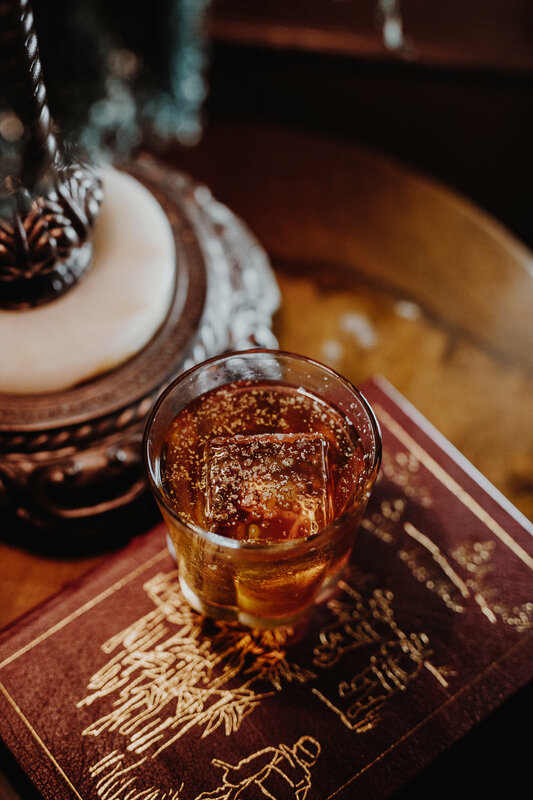 When you look at the early days of mixology and into the late 1800s in particular, it is interesting to note what a large role that Cognac played in this era. Yet, even with the craft cocktail renaissance in full-swing, it seems that many still see Cognac as a spirit meant only for sipping neat and in stirred cocktails. Yet drinks like the Brandy Crusta & the Champ Elysees are perfect examples of shaken cocktails that perfectly showcase Cognac and its potential in drink recipes. On that note, here is a recipe that I came up with for the Bourbon & Branch menu back when I worked there back in the day. I hope you like it & please don’t hesitate to share with me your favorite refreshing Cognac recipes. While the Last Word is possibly the most well-loved equal parts cocktails out there, there are plenty of others that deserve just as much attention. This is one that we love that was invented by Ian Scalzo of Horsefeather, in San Francisco. It a blend of herbal & citrus liqueurs that are tied together with the unmistakable touch of Oaxacan Mezcal. It is absolutely delicious & we recommend you try one soon. As some of you guys might have heard, my team at Polite Provisions & I are going to be headed to Lost Lake in Chicago for a two day takeover the weekend of March 10th & 11th. Since the theme is going to be Kentucky meets Tiki. I decided to feature one of my favorite original recipes. This one is a tropical bourbon cocktail that I came up with for one of the early menus at Boilermaker, my bar in the country. Due to its simplicity, it took off around the city and even ended up on the menu at Dear Irving, which was an honor, as it is one of my favorite bars in the city. The inspiration came from the fact that you don't see American whiskey in enough modern tiki drinks, which is strange when you consider that the flavors in Bourbon & Rye lend themselves quite well to traditional tropical spices. So, this was just my way of taking something old, and making it feel new again. *Something 50% abv or higher works really well here. Think Old Grand-Dad Bonded or Wild Turkey 101. On last week's episode of the show, Stacey Swenson & I discussed our love affair with 90s cocktails. Of all the drinks from that era, one of our favorites that doesn't get its proper dude has to be the Scooby Snack. At its core, it is essentially a Piña Colada with the addition of honeydew melon. Although, originally served as a shooter, we thought the drink was way too delicious to drink so fast, so we decided to serve it over crushed/pebble ice. Here is the recipe below & we hope that you enjoy it as much as we do. As the next in a series that focuses on drinks from the 80s & 90s that don’t really get the respect the deserve, we are now featuring the Kamikaze. While not the most complex recipe, it can be a beautiful drink, when made well. It is brisk & refreshing, and very easy to add variation to, with the addition of bitters, fruit or herbs. The arch of a wooden porte cochère sits unmistakably yet unassumingly beside the Pacific Coast highway. Behind the bamboo double door lies a shrine to a glorious time left to wither. As I enter the main bar I am immediately aware of the culture this tiki bar set out to exploit. All the elements are present. The rustic wooden furniture, palms and bamboo. The sweet aromas of rum and pineapple are barely masked by the smell of deep fryer oil and booze soaked flooring. The heavily understaffed bar is manned by a cheerful, fast paced tender who tonight has lost his voice. With no time to engage his guests anyway this is not much of a hinderance. I’m instantly taken aback by his mobility behind the bar. The kind of confidence that can only be gained from years of repetition in a stagnant role. Perusing the “hot-hits” cocktail menu (for no reason other than curiosity, I know what I want) I can see not a lot has changed here in the better part of a century. Nothing surprising presents itself which is not a bad thing. After all I’m ordering a Man Tai! “What’ll it be for you?” Comes a hoarse voice from the far ice well. As my final word leaves my lips a tumbler is already filled with deli ice and topped with a triple pour of stored juice and a long pour of spirit (just one bottle, probably a batch). A sad sprig of mint and candy cherry sink beneath the surface of the drink as it hits the bar in front of me and he is gone. My first sip hits my expectation with impeccable accuracy. A strong rum with shelf stable tropical juice. Leaning back in my chair to survey the room like Rick from Casablanca, I notice the walls are heavily adorned with accumulated clutter. As with any old venue this adds to the historic feel. There is a natural flow to everything in the room. Nothing feels staged or out of place, rather each piece is another notch on a detailed timeline. The food menu however reads as a scattered list of played out and obvious dishes. Fried calamari, pork sliders and Co-Co Nuts shrimp (sic) are all present. My Mai Tai, while lacklustre, does a good job of quenching my thirst. But it is nearly empty. My bartender is on it and I have a Painkiller in front of me before I finish my last sip. At this point a question enters my conscious. Something to ponder while I take in my surroundings. Have the quality of the drinks suffered due to issues such as budget cuts or new management, or have they just suffered the test of time? Could this simply be an archaic list of liquid dinosaurs, unadulterated and forced to survive in a world of superior palates? I think the latter is true but I’ll never truly know. Given its position by the side of a highway, Don’s doesn’t seem to survive on a local crowd, more a slew of passers-by. Like a shrine to the days when tiki culture reigned supreme and a mecca for its resurgence of passionate disciples. The tireless work of today’s artisanal bartenders have created a customer base that is not as easily sated as 1940’s Angelinos so it is easy to dismiss this landmark venue like a horse with a broken leg. Time seems to slow down inside and the room has the energy of a slot machine parlour in Old Vegas. Still, this was a building block for our modern cocktail culture and it should be treated as such. If you’re leaving Los Angeles en route to San Diego or further south, do yourself a favour tip your hat to this tired giant. There are so many lists out there on what to buy people for their home bar, what to buy the cocktail enthusiast and so on and so on, and while a lot of these lists do have great suggestions I don't believe there really is a good guide on what to buy someone who actually tends bar. Here’s a few alternatives that show you put a little thought into your gift. Gag Bottle Openers: Chances are the bartender in your life already has a ton of bottle openers. They’re given out heavily by liquor brands at events and most department store bottle openers, while tendy, wont hold up over time. Bottled Craft Beer: Many local brewiers run winter specials that can only be bought at their brewery and not found in most grocery stores, and as bartenders who are extremely busy during the holidays they might not get a chance to enjoy the festivities as much as they’d like to. Let them put all those bottle openers to use by enjoying a taste of the holidays they might have missed out on otherwise. Run of the Mill Recipe Books: While high-quality bar books are key to furthering one's skill behind the bar, there has been a rise of subpar recipe books in the last few years there simply not up to snuff for the professional bartender. Steer clear of the ones that look corny and are filled with neon colored cocktail photos. Limited Edition Menus: A lot of high end cocktail bars SELL their menus. We’ve been to some bars that have insanely beautiful and creative menus that even people who don't drink would love to display on their coffee table. If you are at a famous bar you know they haven’t been to it never hurts to ask if you can buy a copy of their menu. Beer Koozies: It’s winter so chances are this person isn’t particulary worried about keeping their drinks cold. These are also another item that are heavily given out at events so your bartender friend most likely has a few in their kitchen junk drawer they’ve never even used before. Non-Branded Growlers: With so many breweries refusing to refill a growler with someone else's logo, having a non-branded one, can be indispensable for not only picking up some beer, but also cold press coffee, and kombucha. They are also great for batching a punch when attending cookouts, barbecues, etc. Unnecessary Barware: Just like bottle openers, chances are that the bartender in your life already has plenty of glassware and bar tools in their cupboards that are tried and true, and the last thing that they need is yet another shaker set or mixing glass. Scented Candles: Since you want to give a gift that has both a function and is appealing to the eye I am going to suggest a candle instead. But not just any candle! When we were at the Four Roses Distillery in Kentucky a few years ago they had a lot of items in their gift shop that I hadn’t seen in other distilleries before, and the one thing I loved the most we’re their candles! Their website currently has two different scents and really a nice candle is ALWAYS something nice to receive. Home Brew Kit: Honestly this isn’t a horrible gift (for most people!) but you have to keep in mind that this person works with alcohol for a living and even the most enthusiastic bartender might want a break from making drinks while at home. Massage or Spa Gift Certificate: Since it's the holiday season the bartender in your life is probably working extra shifts to account for the holiday rush and to cover for co-workers who might be taking time off, they’ll greatly appricatiate some forced relaxation vs. a new project they might not have wanted to undertake. More Liquor: Unless you are attending a holiday party and you are giving this as a host gift and the bottle will be enjoyed at the party, I think you should stay away from hard liquor as a gift for a bartender. People who don't work in bars typically go hard during the holidays and resolve to take it easy after January 1st, surprisingly a lot of bartenders choose this time to focus on their health by eating better and drinking less. Coffee & Tea: If your bartender friend is really into their craft, then guess what, they like other beverages too! A lot of coffee shops now sell cold brew in growlers, which your friend will be grateful for when they over sleep for a shift, or have to work a double. Another good gift is tea and local honey, loosing your voice or worse, catching a cold will damper anyones holiday spirit. Give a gift that shows you really care about your friends health and well-being and skip the liquor isle. Check out this week’s episode of the @Game Over Greggy Show with our host Erick Castro, and listen in as they talk cocktails, drinking culture and our just-released Bartender at Large documentary. Click on the link below to watch it on YouTube. Our Award-Winning Film Now Available for Purchase! The award-winning Bartender at Large film is now for sale as NAME YOUR OWN PRICE. So you can pay as much as you want for it or as little as 99 cents. Go to the below LINK for purchase. Bartender at Large is a love letter to the art of bartending and the world of craft cocktails. It provides an examination into the modern cocktail renaissance, and allows you to experience it all through the lens of one bartender’s road trip. The trip itself takes viewers behind the scenes on a trek across the western US, from a speakeasy in Denver to a dive bar in Tucson to an elegant hotel bar in Santa Fe. In addition, the film highlights the perspectives of those benefiting by the cocktail’s recent boom –local farmers, small distillers, eager customers-- but most importantly it showcases the one who puts it all the together; the bartender. This is a film, which tells a story that is every bit as intoxicating as the beverages it describes. Featuring interviews with some of the top voices in the bar industry, such as David Wondrich, Jeffrey Morgenthaler, Jim Meehan, and many more. 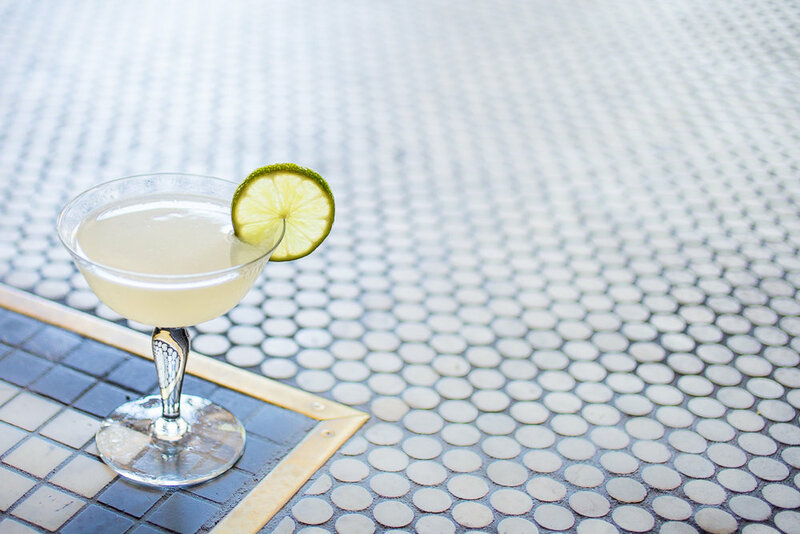 “You could hardly ask for better company on a journey—both literally and narratively—through the history of the ongoing cocktail revival than Erick Castro, who, when not being a great bartender, has apparently been honing his skills as an engaging host.”—Robert Simonson, New York Times drinks writer and author of “A Proper Drink"